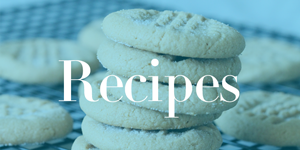 Home / Savings Blog Posts / Recipes / Cookie Recipes / Easy Apple Pie Cookies Recipe! Check out this Easy Apple Pie Cookies Recipe!! Apple Pie is definitely a warm comfort food for me, so I am excited to share this Easy Apple Pie Cookies Recipe with you! These are the perfect cookies to make for Fall, Thanksgiving, or Christmas! You can enjoy these cookies with your friends and family, or take them to the office for a work party! Plus, be sure to check out even more Holiday Recipes! Spray cookie sheet with non stick spray and set aside. Spread a thin layer of caramel on one of the crusts. Use a knife to chop pie filling into smaller pieces and spread over top of caramel. Cut other crust into 1/2″ strips. Use strips to create a lattice top over pie covered crust. Cut out circles and transfer to prepared baking sheet. Brush lattice tops with egg wash and sprinkle with sugar mixture. Nothing says fall and winter like homemade apple pie! These Apple Pie Cookies are sure to be a hit no matter what the occasion! Plus, check out these Silicone Baking Mats at Amazon to help make the baking process even easier! Plus, be sure to check out this Reese’s Peanut Butter Cupcakes Recipe for another fun dessert recipe to share with your loved ones! Your Easy Apple Pie Cookies Recipe looks delicious but I’m not clear about step 9, how do you cut out the circles? Thank you.